In 1876, Russia's Tsar Alexander II, a long-time lover of Louis Roederer wines, asked the producer to create a special cuv�e for his personal use which was unique in both its style and bottle design. Dissatisfied with standard champagne bottles that concealed the beautiful colour and effervescence from the eye, he requested that his personal cuv�e be served in transparent crystal glass bottles with a flat bottom to foil the insertion of explosives by would-be assassins. Thus, Louis Roederer selected the best vines from seven Grand Crus on his estate and Cristal, the first prestige cuv�e, was born. Now world-famous, Cristal is produced only from the truly great vintages in which the ripeness of the Pinot Noir and Chardonnay grapes can provide the subtle and precise balance that is now the distinction of this cuv�e. Between 20-30% of the wines are vinified in oak barrels and the final blend is matured for six years in the cellars and rests for twelve months after disgorgement. Recently, the Cristal vineyards have been converting to biodynamic farming methods and the House estimates that by 2020 all Cristal plots will be cultivated biodynamically. Weather: The 2009 vintage was a continental, sunny year with a real winter that was very cold and dry followed by a glorious sun-filled summer and almost no rain in August and September. The harvest was incomparable in terms of quality and produced consistent, fresh and crunchy grapes. 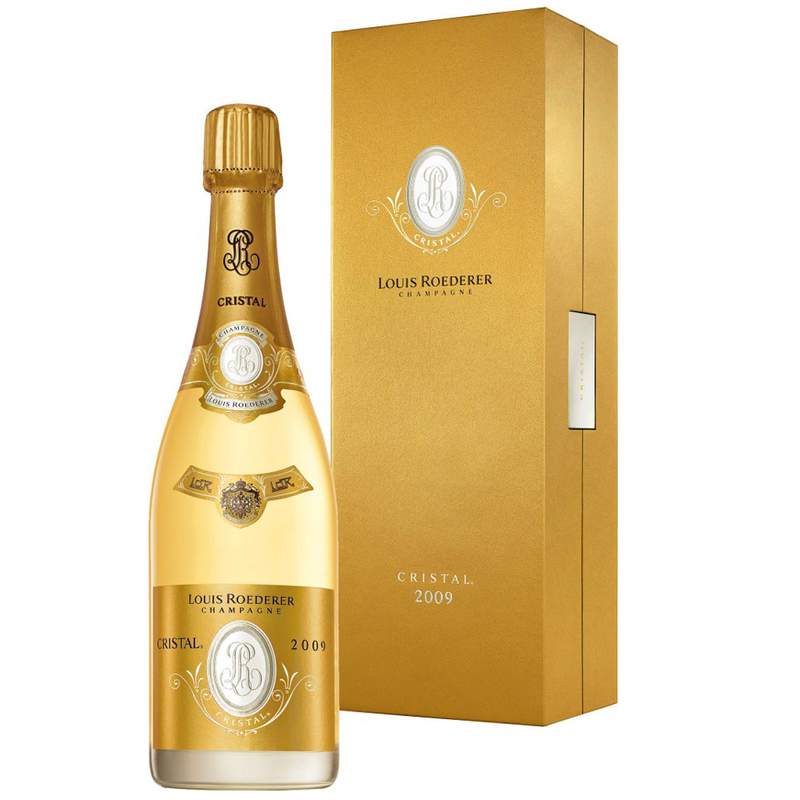 News Article: Read more about Louis Roederer Cristal 2009 in our review of the October 2016 launch event here. Tasting Note: A golden hue with a fine stream of bubbles. The nose has hints of citrus and candied apricots. On the palate a toasted nuttiness combines with seductive hints of vanilla. This is a champagne full of energy in its youthful stage, but with bundles of possibility if left to develop. Incredible ageing potential.